Jalopnik reviews the Audi Q8 in the snow -- Is it really a modern-day Quattro? Jalopnik reviews the Audi Q8 in the snow — Is it really a modern-day Quattro? 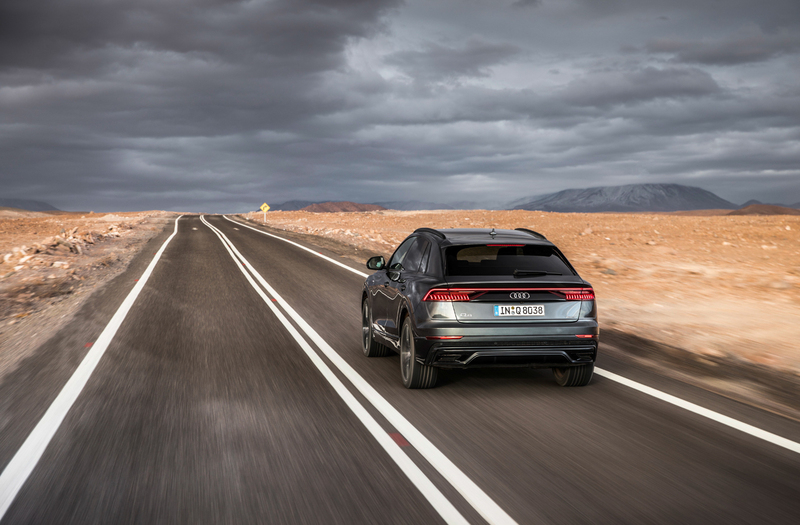 When the Audi Q8 first debuted, there was a lot of marketing jargon to suggest that Audi’s latest coupe-like SUV was somehow a throwback to the original Audi Quattro. That car — the legend of the rally stage and the catalyst for Audi’s performance revival — surely couldn’t be remembered in a two-and-a-half-ton SUV, right? For the most part, of course not. The Audi Q8 is a large, heavy SUV based on the same platform as the Q7 and Bentley Bentayga. However, according to Jalopnik, there are enough hints of the O.G. Quattro in the Q8 to somewhat warrant the comparisons. A lot of that starts with its looks. We agree with Jalopnik that the Q8 is a stylish and good looking car from most angles but looks weird from the front. Still, those flared wheel arches and sharp shoulder lines are reminiscent of the original “Ur” Quattro and the fat D-pillar is even shaped similarly and at the same angle as the Quattro’s. When you see the two cars back-to-back, it’s actually quite noticeable. Although, by comparison, there’s no contest– the Ur Quattro looks the business. There are also shades of the Ur Quattro in the way the Audi Q8 drives, though. Its steering, handling and agility, even in the dirt, mud and snow, are all far sportier than one would expect from such a heavy SUV. It’s obviously not a road-legal rally car like the Quattro was back in the day but it seems to have that same sort of spirit. Or as close to that same spirit as it can possibly have. It could do with more power, though. To start in the U.S., the Audi Q8 will only get a 3.0 liter turbocharged V6 engine, making 335 hp and 369 lb-ft of torque. It’s the same basic engine in the Audi S4 and it’s great there. But the Q8 is just hauling too much weight — around 5,000 lbs or so — for that engine to be any sort of exciting. The Audi Q8 needs the brand’s 4.0 liter twin-turbo V8. I guess that’s what the Audi SQ8 is for. When that comes out, Audi will be able to make an even better case for it honoring its most famous classic.